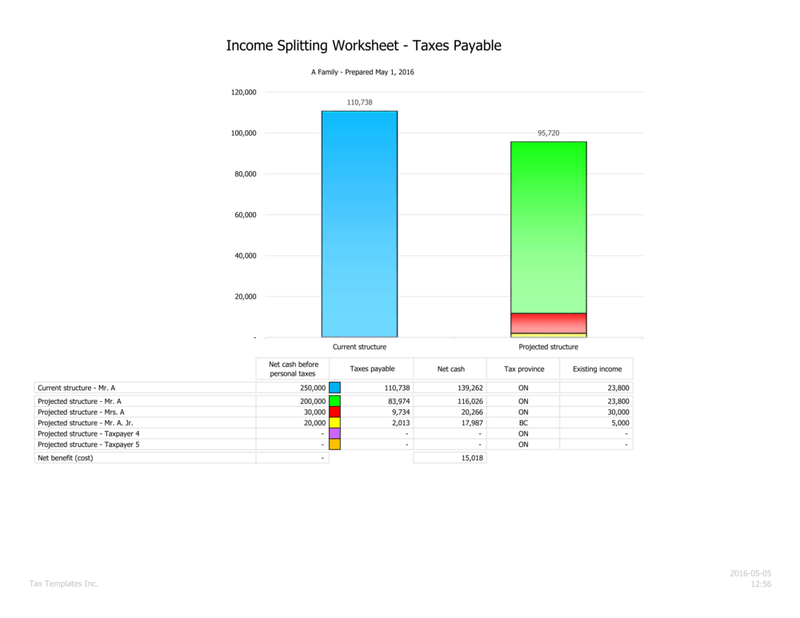 The Income Splitting Worksheet quantifies the net cash benefits available by using various income splitting strategies. 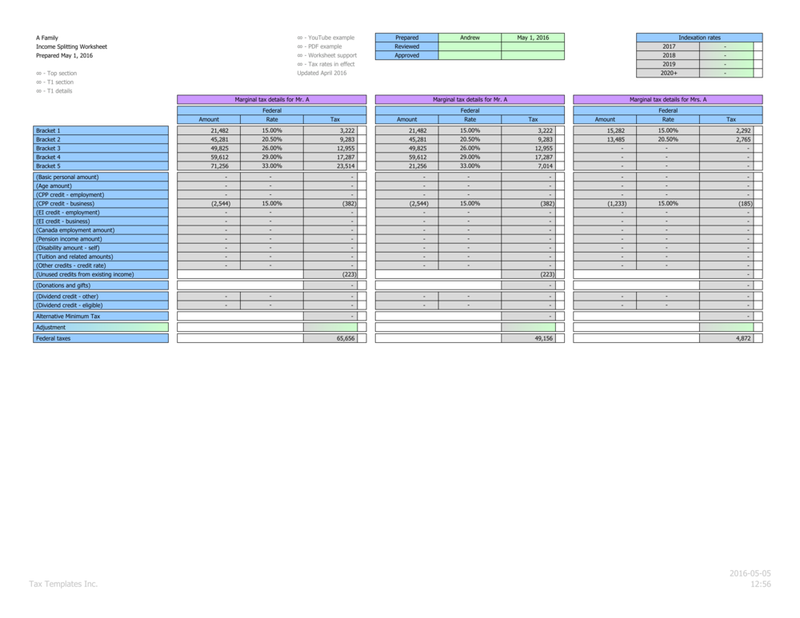 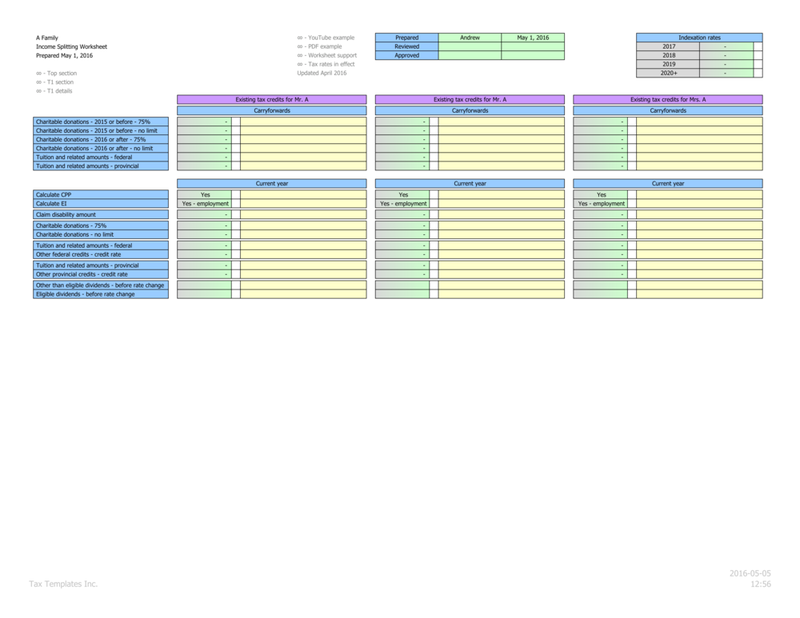 This worksheet is popular when suggesting a new strategy, or proving the tax savings from one already implemented. 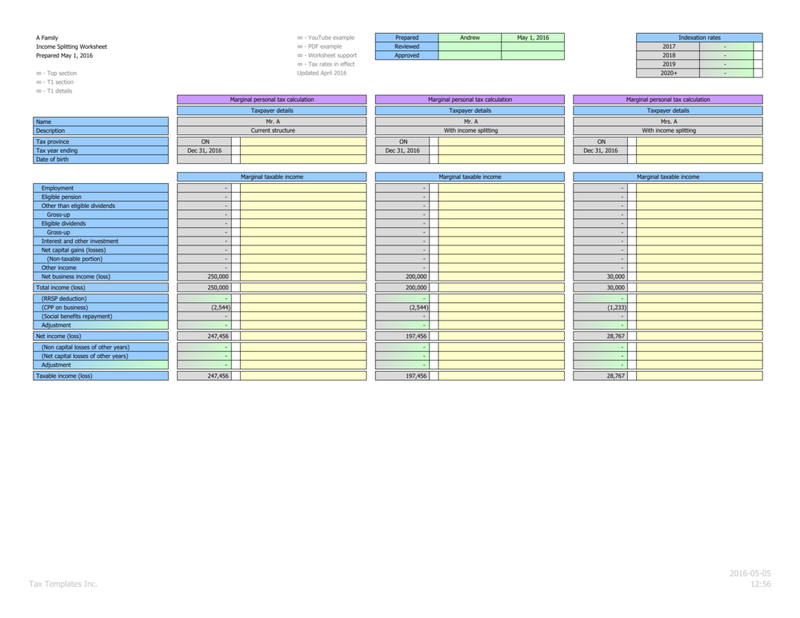 Whether a client is looking to pay a family member a salary, share CPP benefits, or take advantage of other opportunities, this worksheet easily shows your clients the value.